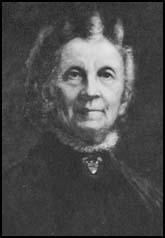 Belva Ann Lockwood was born in New York in 1830. After leaving college she became a school teacher. Later she joined the campaign to obtain equal pay for women teachers. A member of the American Woman Suffrage Association Lockwood moved to Washington in 1866 and played a major role in persuading Congress to pass the 1872 bill guaranteeing female government employees equal pay for equal work. In 1872 Lockwood joined the Equal Rights Party. Although laws prohibited women from voting, there was nothing stopping women from running for office and Victoria Woodhull became the party's presidential candidate. During the campaign Woodhull called for the "reform of political and social abuses; the emancipation of labor, and the enfranchisement of women". Woodhull also argued in favour of improved civil rights and the abolition of capital punishment. 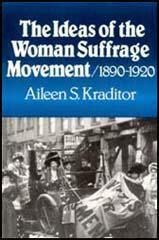 These policies gained her the support of socialists, trade unionists and women suffragists. 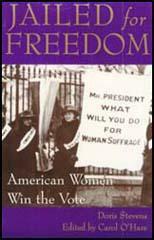 However, conservative leaders of the American Woman Suffrage Association, such as Susan Anthony and Elizabeth Cady Stanton, were shocked by some of her more extreme ideas and supported Horace Greeley in the election. Lockwood now decided to become a lawyer and studied at the District of Columbia law school. She obtained her degree but was barred from practice in the Court of Claims and the United States Supreme Court. In 1873 a judge ruled that could not work as a lawyer in Maryland. He told her: "Women are not needed in the courts. Their place is in the home to wait upon their husbands, to bring up the children, to cook the meals, make beds, polish pans and dust furniture." In 1876 Lockwood drafted a bill which would permit women to practice before the United States Supreme Court. It took her three years to persuade Congress to pass the bill and in 1879 became the first woman to be admitted to practice before the nation's highest tribunal. In 1884 Lockwood became Equal Rights Party presidential candidate. Her campaign created a great deal of hostility and she only won 4,149 votes and was easily beaten by Grover Cleveland (4,874,986), James Blaine (4,851,981), Benjamin Butler (175,370) and John St. John (150,369). For the rest of her life Lockwood continued to campaign for women's rights and international peace. She successfully campaigned for women to have equal property rights in the District of Columbia and established the International Peace Bureau. Belva Ann Lockwood died in 1917.